Blueberries are a versatile fruit. You can pop them into your mouth like popcorn, bake them into anything, simmer them down to a condiment, or even freeze them for an extra refreshing kick on those hot summer days. But did you know blueberries are also great for your health. Blueberries are low in fat and high in vitamin c, dietary fiber, and manganese (great for bone health). What&apos;s more, blueberries are currently being studied medically in relation to heart and brain health as well as insulin response and cancer research (source). There&apos;s some serious power in this petite fruit! The same pickin&apos; principles that apply to strawberries must apply to blueberries. Concoctions made of blueberries picked with your own hands just taste better. That&apos;s a fact. It&apos;s farm to table freshness and personal satisfaction you just can&apos;t replicate any other way. Or maybe that&apos;s the homemade whipped cream on top we&apos;re tasting! syrup, vinaigrette dressing, salsa, juice, cider, and jam. Smith&apos;s Nursery offers pick your own as well as fishing, farm animals, and other fun activities for the kids. 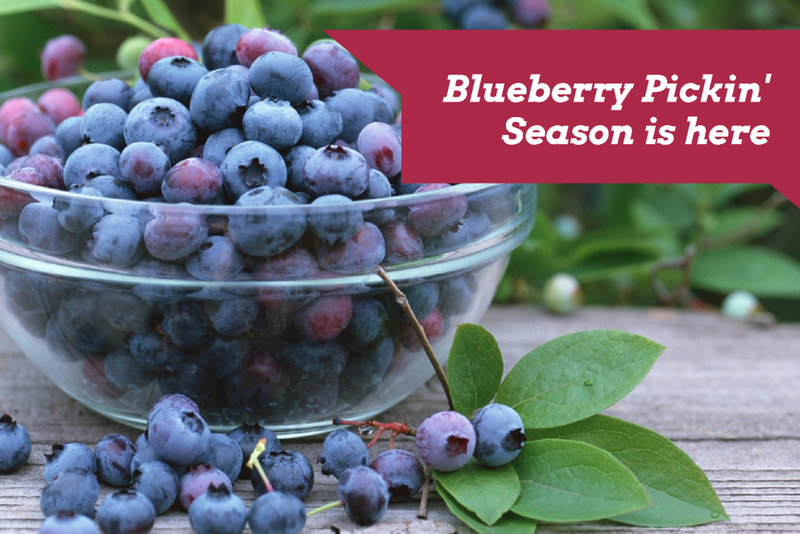 It cannot be a coincidence that both strawberry and blueberry season fall so close to the Fourth of July. Can there be a more patriotic fruit pairing? Certainly not one that goes so berry well together in summer recipes. From cakes to crisps, pies to pastries, sauces to salsas, jams to juices... we&apos;ve discovered that, in the south, there&apos;s no wrong way to eat a berry. Much like our blog on strawberries we have provided a unique compilation of blueberry recipes to be tried in your kitchen this weekend. As always we welcome comments and pictures of how your blueberry baking attempts turned out... delicious, we bet!